MTC Namibia reduced prices aggressively in June 2011. 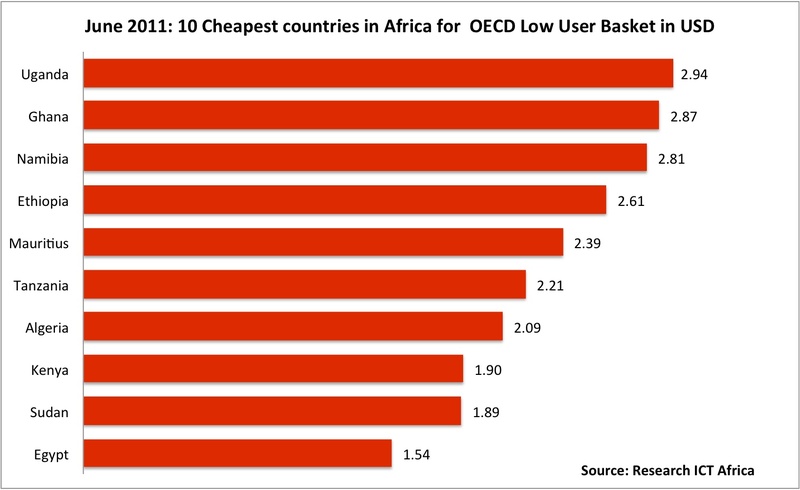 Namibia moved up in the ranking of most affordable mobile prepaid prices from 22nd place in March 2011 to 8th in June 2011. A MTC subscriber in Namibia pays USD2.81 in Namibia for an OECD Low User Basket (2006 definition) which equates to 46 minutes and 33 sms in a month. MTC Namibia launched a 38 Namibian cents campaign for calls across networks with 100 free SMS a day subject to recharging. This reduces prices from N$ 1.50 per minute for Tango Per Second to 38 Namibia cent for example – a 75% drop.